Over the March and April school holiday break, why not book your kids onto a creative workshop at the ACMI in Federation Square. Most of what we use today involves coding; computer software, apps and websites. Why not expose your kids to coding now, to be ahead of the game? 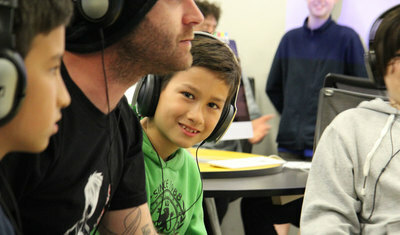 ACMI's three-day workshop will teach your kids the basics of programming using software to create a game. When: Tues 5 - Thurs 7 April, 10am to 4pm. 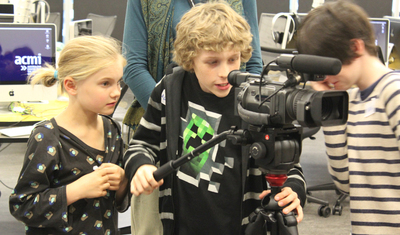 Your budding filmmakers can try their hands at making a movie. Working in small teams, participants will learn the basics of writing, directing, acting and editing a short film over three-days. On the last day, your kids get to attend a red carpet premiere and invite two special guests. When: Tues 29 - Thurs 31 March, 10am to 4pm. The fun doesn't stop there. The whole family can have a go at claymation over the weekend of 2 and 3 April. Age recommendation: 5 years plus. Must be accompanied by paying adult. Alternatively, there is the option for your children to join a kids only claymation workshop for the day. Classes involve sculpting a character from clay, and making it come to life using sets, studio lighting, sound effects and sped-up frames. Cost: Full $120, concession $110, ACMI member $100. Your high school kids can have a go at making a Minecraft movie. Working in teams, they will direct a scene in a designed world with characters, using a specially designed version of the game. For younger Minecraft fans, there is an opportunity to join a family friendly session on the weekend of 9 and 10 April from 1 to 4pm. This is an opportunity for your kids to explore Minecraft with you, so you can all gain insight into how the game is used in a learning environment. A drop in session on between 28 March and 10 April invites kids to learn how animated characters are morphed by creating a flip book. Two enchanting animated films will be screened at the ACMI over the Easter school holidays. The Moomins on the Riviera adapted from the famous French cartoon, and Hayao Miyazaki’s My Neighbour Totoro (English dub version).